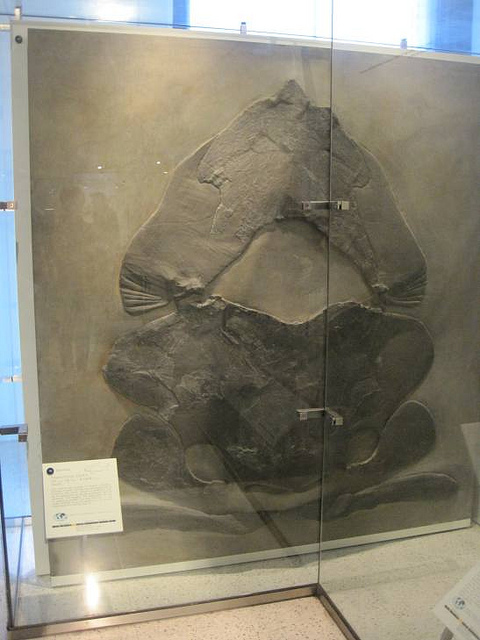 Life Before the Dinosaurs: Titanichthys. But come on. That's one cool-looking paleontologist! I just stumbled across this and actually Titanichthys probably got even larger than Dunkleosteus! 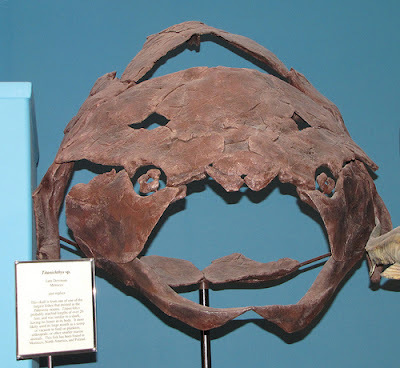 There are jaws in the collections of the Cleveland Museum of Natural History that are over twice the length of the largest jaws of Dunkleosteus.